The Bermuda Underwater Exploration Institute [BUEI] Talks series will present “The Vigilant” by Andrew Outerbridge on Thursday, November 29th, with a book signing at 7pm and presentation starting at 7:30pm. 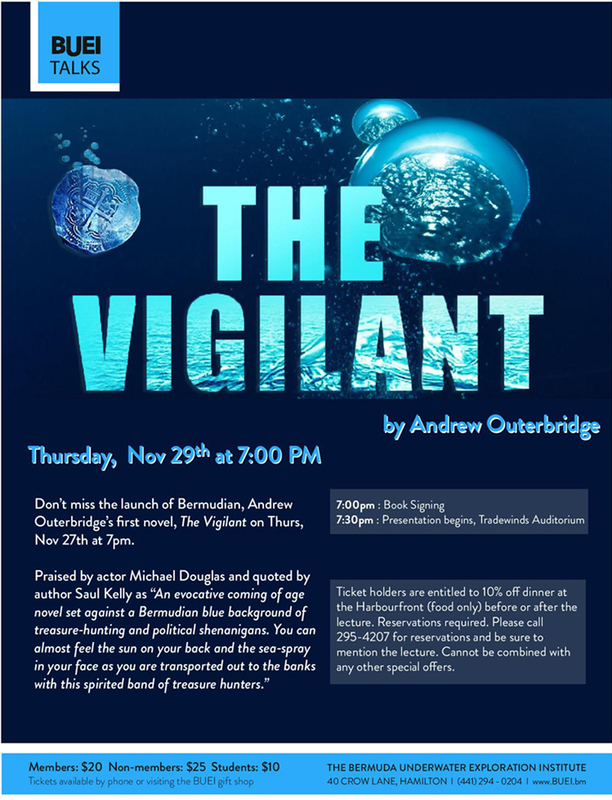 The event poster says, “Don’t miss the launch of Bermudian, Andrew Outerbridge’s first novel, The Vigilant on Thursday, November 27th at 7pm. Tickets cost $20 for members, $25 for non-members and $10 for students, and are available by calling 294-0204 or visiting BUEI’s Oceans Gift Shop.